Hey there, guys! Just slaving away on my next game, "Noah's Bunny Problem". The bunnies have broken free of their pen, and made their way to the deck of the ark. Now it's up to Noah to keep them from falling off the ledge and stop them from making more bunnies! It's a mix of pong and a bunny making simulator. Very cool looking game! Just wondering what would happen if the player does nothing? Would the screen full up with bunnies? Or are they more suicidal than horny? If the player gives no input, the bunnies will aimlessly hop off the lower edge of the ark. Once all four life preservers are used, then the game is over. Of course, if they bounce into another bunny on their way, then they'll create another bunny. I'd say a bunny is equal parts 'aimlessly hopping' and uh... 'procreation inclined'. Tuning will be very interesting, the act of procreating could make it easier as less bunnies are aimlessly hopping. Also you wouldn't want to get to a point where the screen fills up with bunnies. Yeah, I suppose the one strategy I foresee occurring would be for the player to let 3 bunnies immediately fall into the water, then have two bunnies to manage. To counter this, I have the bunny's speed multiply by 1.1 every 4 seconds. So after 2 minutes of a bunny staying alive, it's moving extremely fast. The most I've been able to play before dying was around 2 minutes and 30 seconds, which I think is the right amount of time for a game like this. Hey there, guys! I've finally been able to finish Noah's Bunny Problem! Woohoo! This game was done 100% in Playmaker. Here is the trailer, hot off the presses! Woohoo! 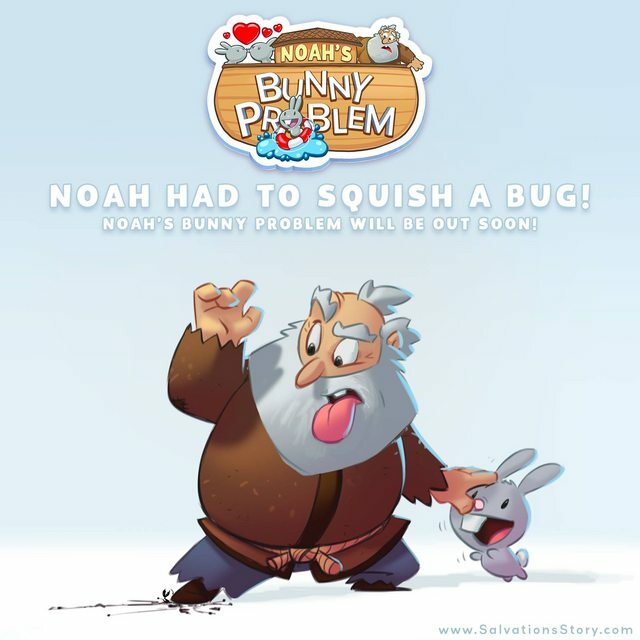 Noah's Bunny Problem is ready for launch this Friday! I ran into a little bug with this one and had to resubmit. Hopefully it'll be out this weekend!